LogiPoint is the brainchild of established industry leaders – SISCO and Xenel Group. We are an established logistics service provider with a history of landmark logistics projects and 18 years of impeccable service to customers across all the major industry segments. Our uniquely positioned logistics zones and hands-on experience give our customers transactional, tactical and strategic benefits. 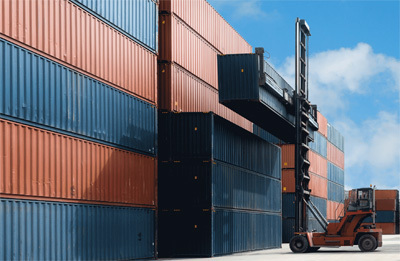 We understand our customer’s supply chain and have the unique position to provide logistics support at every stage of the chain. LogiPoint delivers a comprehensive solution by leveraging our strategic assets. To transform customer experience, through our sophisticated multi-purpose logistics zones. In cultivating long-term working relationships, Based on deep understanding of the logistics industry. In not only understanding, but also anticipating our clients’ diverse needs. In simple, ‘smart’ solutions, that enhance customer experience. That transparency is the key to better service.